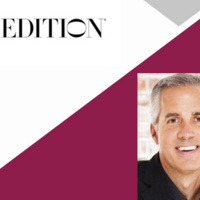 Mr. Daniel Flannery is the Senior Vice President & Managing Director of EDITION Hotels. Mr. Flannery has held corporate-level roles worldwide working for the best in class hotel chains including Marriott International and Morgans Hotel Group. Mr. Flannery will be honored as the 12th Annual William R. Tiefel Professorial Chair.